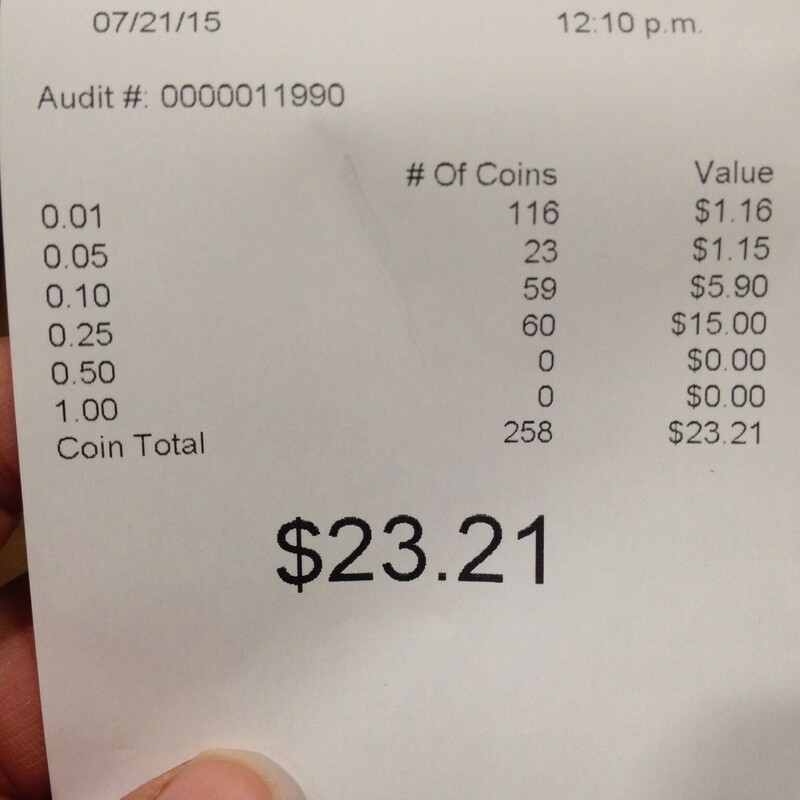 And The Found Change Challenge Total for 2015 Was . . .
My 2014 total was $37.90. My 2012 total was $28.50. 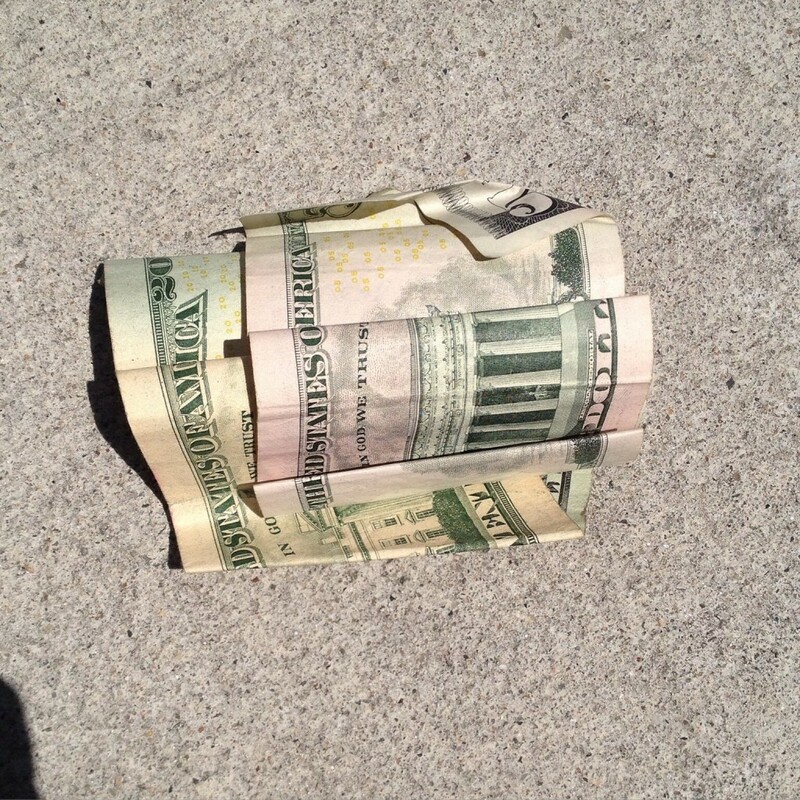 Here’s the $25 I found on the ground in front of the Whitney Museum! 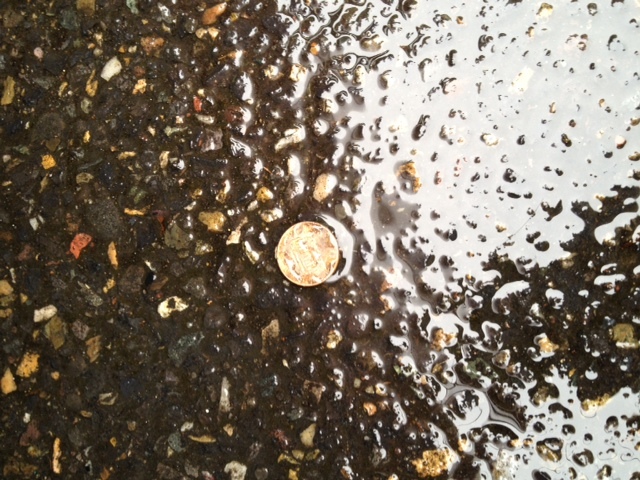 And when I walked back to the car after turning in my coins, I found a lovely new penny just waiting for me on the asphalt! And just for kicks, here’s an outtake from this morning. I truly believe that valuing small amounts of money is very important to a healthy bank balance. Both as income and well as outgo. Watch your pennies and your dollars will take care of themselves. It goes without saying that I deposited the money into my sons’ college account. Did you participate in the Found Change Challenge? Please share your findings (pun intended) in the comments section below. But as Katy constantly demonstrates for us, every little bit helps, regardless of how we pull it in! We came up with $31.46 this past year. This included $15 we found on the ground at one point. We divided it up and put it in the kids’ savings accounts for college and we are already up $0.47 for this year. Those tiny bits of change really do add up! There were at least five or six times this year that people at Aldi gave me their cart rather than to walk it back to the store’s cart corral, so that alone would be a good start for “found” money. I am joining in for 2016! Love this idea. Yesterday I was walking at the park and it looked like someone had cleaned their car out in the parking lot. There was a pile of change!! I guess they didn’t want to pick it up. Change already in my jar!!! Then you’re already way ahead of me! I totally agree with you in regard to small amounts. I value the 5c I find on the floor and probably get more excited about it, than the $1 in my purse that adds to my loose change jar. I truly believe small and steady can often win the race. Love your work Katy, greetings from Australia. I found the bills on December 19th & 20th along the same stretch of sidewalk. They were both rolled up in tight coils so I know the same person dropped them. When I picked up the second one I took some time to make sure there weren’t any more laying around. Wow! That is crazy! It makes you really think about how much money is just floating around out there if just one person can find $50+. I need to start saving it all in one place because I’m pretty sure we find a ton, too. My 4 year old is like the penny whisperer…they find her. Sounds like your daughter has real promise! That’s what I want to know! Raining AUD!!! Australian money (notes) is made of plastic. It has its advantages: you can go surfing with it, it won’t rot in humid weather. But it’s slippery I guess. People lose it more easily, particularly in parking lots, where I found this cash (separate occasions, different parking lots). Our $1 & $2 are coins. My friend goes metal detecting. She has found almost $100 in 6 months. My youngest son is always looking for coins in the grocery store, gas station, and in any place where their are machines. And he found that people throw coins in fountains. Last summer he found there was a whole bunch at the outlet mall that had a stream where people had thrown coins. He was all wet, but had a whole bunch. Had to explain to him that people threw them there, they weren’t dropped for him to find. He didn’t like putting them back. It’s amazing how happy he is to find a couple coins, and he saves them versus his brother that seems to think he must spend every penny of gift cards and cash he gets for birthdays, etc. being thrifty is in your blood, unfortunately so is being foolish with your money. Btw, my son had a similar look on his face as you had in the last picture when I told him he had to put the coins back. My husband and I will join for 2016! What a fantastic idea. Love your blog. Maybe this is the year to start counting my found money; usually Ibjyst pick it up and add it to my purse. My 9 year old son, however, has had a stellar money finding year! Who knows how much change and $108 in bills! He found $100 of it at one time outside a frozen yogurt place. They held the money for 2 weeks- nobody claimed it. We split it between the 2 very busy teens/college students working in the yogurt shop that night and my son. So fun to pay it forward and he got some free frozen yogurt ((and $50!) out of the deal! What a nice gesture. I’m sure the employees were really thrilled and what a great demonstration of generosity and sharing to your son. Bravo. I’m new to your blog and only started the challenge in October but still managed to find $1.90. We take our found money, and any coins from our pockets at the end of the day and cash them in for Lowes gift cards. We are remodeling an old (1833) house and always have something to get there. And we don’t have to pay Coinstar fees if we get a gift card. I always tell my kids, pennies make dollars! I guess I don’t live in an area where people don’t pick up dropped coins because as I’m always on the look-out/search for found money I only found $.35 this year!! Maybe my problem is that I rarely go shopping or to other areas where I would have a better chance. 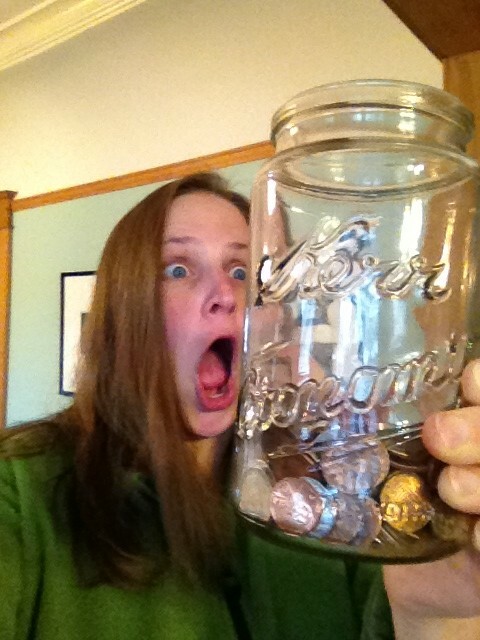 what about found money IN the home…the incessant pennies…lol…can i count them???? and if you want to see mad…it is someone sweeping and throwing the pennies out…OMG….someone dropped their wallet and left all the pennies..wasn’t worth picking up….we asked if they had forgotten them…they said nope didn’t want them . My kids gladly picked them up. In Canada they’ve done away with the pennies..but they are still valid currency..(we moved to the usa..but still had pennies in our piggy banks) so i’m bagging them all up for when i return and cash them in. I did the found change challenge. I collected any found change. This included any coins from the laundry. (I’ve warned the kids to check their pockets, they hate losing money and I don’t need a service call to get the washer repaired.) My grand total was $93.03 in currency. This included a huge score of $19.53 in a small coffee can inside a curb side dresser from a house that the tenants had just moved out of. I kept the dresser too!! I know you often resale/re-gift curbside finds. Since October I have curb picked (we call it the outdoor market) a china cabinet, tv stand, desk, a new $100 crock pot, new set of pottery barn frames, 20 brand new large tomato cages, much needed (good) storage containers, 2 fantastic rugs, new pet carrier, a locker set (that was painted and looks like it was made for my greenhouse, some used cell phones , 20 large bags of aluminum cans for recycling and a new specialty suspension set for a car. The suspension set was worth $1500 dollars. We just found a buyer!! I have used several of the items and sold others on craigslist and through an online garage sale. Anything that I know would sell in a thrift store I donate to a local group. I fell its a win, win!! 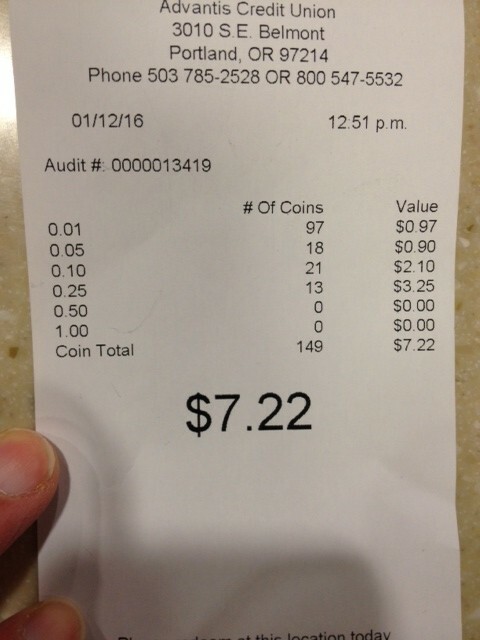 From March through November I found $31.72 in coins (no bills during that time period). I have only found a few coins since then, mostly pennies. My husband has collected quite a few foreign coins that I occasionally find at a Coin Star. It is a fun and frugal challenge. Since reading this blog I now keep an eye out for change waiting to be found. When I go to Aldi’s I consider it my Random Act of Kindness to leave my cart available to be used, with the quarter still in it. The next person may pay it forward, or may need the quarter. Either way, I always leave with a smile on my face. Karen, I do this too and it always makes me smile when the next time I go there is still a cart with the quarter still in it. I didn’t participate for 2015, but I already started keeping track for 2016. I’m so fascinated by people who find paper money. I only ever find coins. Ditto, only find coins here also. I put all our found change in a plastic jug that we use to make change for our customers at the business that we own. This is all of our found change, bottom of my purse change, and around the house change.You we be surprised how rarely we have to make change yet sell items all day long. People swipe credit/debit cards all day to make purchase so the change is hardly needed. Also, most people tell us to keep the change if it’s under a buck. Strange how little is cared about smaller money. I plan to join the challenge in 2016. 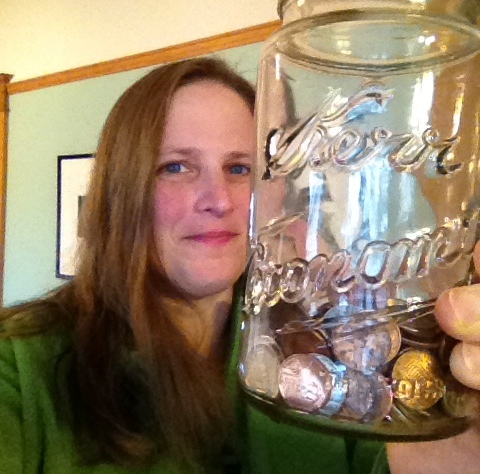 Last year I put together my husband’s loose coins – not found but tossed into jars and spilling over; took it to the bank. I took a friend out for a frugal lunch as my charge for a finders fee, and everyone was happy. He came home to a dresser of crisp bank notes. He now remembers to get his stash to the bank in a more timely manner so I will have to rely on sharper eyes on the ground! Finding money in pedestrian friendly cities is much easier than finding it out in the suburbs. People hardly ever leave their cars in So Cal. 😀 Having said that I still have my eyes glued to the ground in parking lots. But recently my cheap little heart was sorely tested as I was in an airport going through the TSA security checkpoint and twice, TWICE, I saw a piece of silver shining under the carts full of trays that are used to carry items through the x-ray machines. I so wanted to get down on my hands and knees and retrieve the coins both times, but A) I didn’t want to mortify my 73 year old husband with the sigh of his wife’s bum sticking in the air in public B) the carts were being moved around very quickly and it was a tiny bit dangerous and C) holding up the security lines at an airport while I dove for a couple of dimes would not have made me a popular person. But it hurt me to pass up those dimes. This includes a $20 Starbucks giftcard. You can imagine my surprise when I found out it still had value! I sold it on Cardpool, so it was added to the “found change” total. Living in New York City, I find change all the time. Lucky me! I don’t keep track of the amounts though. I might start keeping track so I can see how much it is! Once I found a 5 Euro note. I gave it to my friend to use on his honeymoon to Italy. I never remember to total mine up, but I will this year. So far, for 2016 — one penny! Well, it’s a start. We once found around $50 in bills and no one claimed it — that was fun, but it’s been a few years. I’ll keep looking. My husband’s niece once found 20 dollar bills blowing around a store parking lot, and she and several other people picked them up. Only she and one other woman turned in the money they caught; everyone else hopped in their cars and took off with their catch. But, no one ever claimed the turned in money, so she was allowed to keep what she’d turned in — she had almost $400! We’re figuring it was drug money. Not necessarily, I know someone who puts cash down on sidewalks and random places for people to find hoping it will make someones day. Some people have a lot to blow I guess, lol! Your $25 reminds me of the time I found a $100 bill at the bowling alley. Fortunately I was able to find the owner, a teenager in the arcade section. ($100 are unusual enough that asking someone to specify which bills ze lost will accurately identify the owner.) He really would have missed that. The all-time big winner on our street was a then-6-year-old who found a $100 bill at the end of our cul-de-sac many years ago. (We had a bit of a drug dealer problem down there then, which I’m pleased to say our Neighborhood Watch has gotten under control.) As several commenters have noted, children do well at finding dropped money; they’re simply closer to the ground. The youngster’s mother dealt with the windfall very well, I thought: She let him keep half and had him put the other half in a savings account. This was my worst year ever! $4.42. I think too many people just use credit cards.People are funny – we were in a restaurant and my husband saw a dime under our booth. When he bent to pick it up a frowning customer said “he’s not going to pick that up, is he?” I told her he had to – it goes in my found money jar and at the end of the year to the food bank. For years my husband and I have put any spare change from whatever source into a jar. About every 3 months I roll it and take to the bank (our branch doesn’t have a counting machine). Usually I have around $75-$80 dollars or $300 each year. 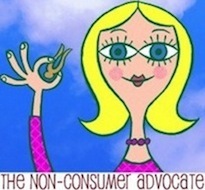 Shopping, The Non-Consumer Advocate Way! The Found Change Challenge Total For 2016 Was . . .